The Retreat Village is a collection of nine villas owned by a Cretan couple who are looking forward to welcoming you to this beautiful part of Crete. 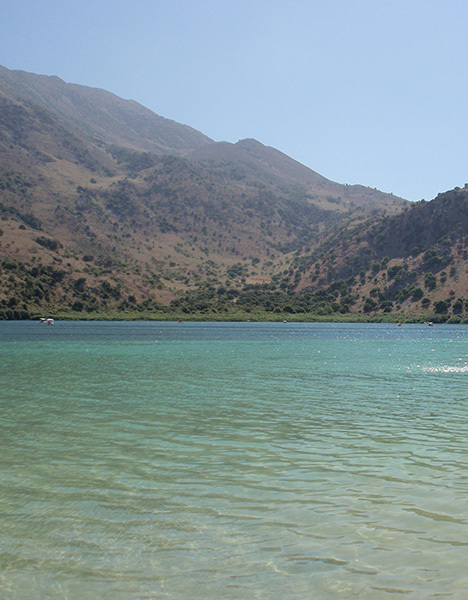 More than a holiday – St George’s Retreat offers you the opportunity to truly experience all that Crete has to offer. It is an ideal holiday place for families and friends who would like to holiday together, but still maintain their own private space. The two 40m2 shared swimming pools together with a large BBQ area containing both a BBQ spit and traditional baking oven – are perfect for meeting and making new friends. The Retreat Village is situated high up on the slope of mountain “Drapanokefala”, on the outskirts of “Kokkino Chorio” village (Zorba the Greek was filmed here). It has an astonishing view over Souda Bay and the Aegean sea, and this explains the existence of the St’ George’s Retreat cave built by the German forces during the II WW, which is actually within the grounds of the complex. The property benefits from extensive cultivated gardens, olive trees and a large number of fruit trees, which the guests are free to taste. St Georges is a collection of 9 villas in a small complex with two pools. 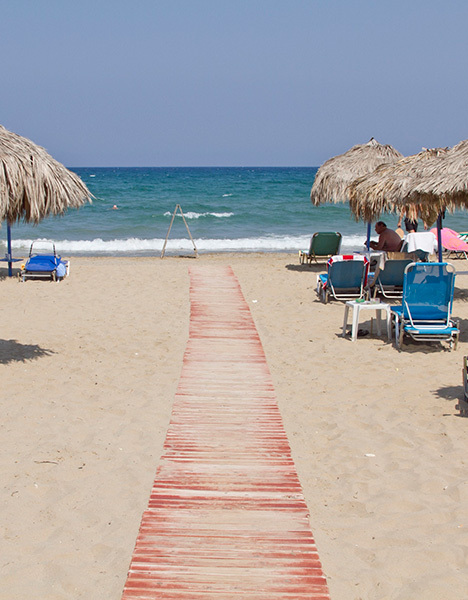 All villas are private, spotlessly clean and very well equipped. The grounds/gardens are gorgeous, just so beautiful and quiet. There are fabulous mountain and sea views and the gentle sounds of birds and goats bells. What makes this place even more special though are the hosts Stefanos and Roula who make your stay truly memorable with their kindness and hospitality, lots of advice and tips on how to make the most of your trip and some lovely surprises in the form of Roula’s amazing cooking. Just genuinely lovely people. St George’s provides some of the best accommodation we have experienced in the Mediterranean over the past 30 or more years. Roula and Stefanos are exceptional, caring and attentive hosts; where nothing is too much trouble. They were concerned that we should be content, comfortable and wanted for nothing during our stay. Briefly, the attractive villas are built and equipped to a very high standard, are tastefully decorated, well appointed and spotlessly clean. In particular, the beds and bedding are high quality and exceptionally comfortable. I should add it was also a pleasant surprise to find the villa well stocked with essential supplies such as bread, eggs, ham, cheese, butter plus milk, beer, wine and much more. Deserving of note being Roula’s excellent homemade jam. So, there is no need to ‘panic’ shop on arrival. Clearly, Stefanos and Roula have spared no expense to ensure a high quality product and in our opinion difficult to fault. The only possible overall rating for such value for money is 11 out of 10! Stunning sea views first and foremost. Excellent hosts Stefanos and Roula did everything to make our stay comfortable, including bringing delicious home-cooked food and fresh tomatoes from the garden to us! Thank you! Lovely villa and the communal facilities were great- plenty of sunbeds too. Gorgeous flowers everywhere, and fruit growing wherever you look. 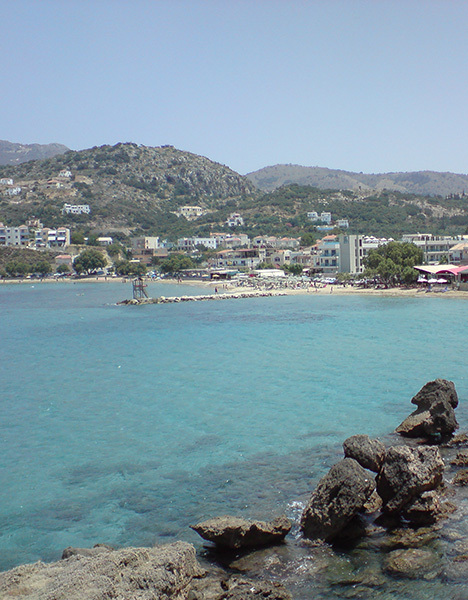 The location is good as it’s not too far to drive to bigger towns like Georgiopoulis, and even Chania. We loved our stay here – I can’t really add anything further because reviews already say everything we experienced. But I can say how helpful the peers were in helping us sort out our car arrangements and giving us advice on lovely local sightseeing opportunities and the like . We loved our time at St George’s and talk about our time here with fond memories, only wishing we could have stayed longer and enjoyed the retreat and everything that Crete as a destination has to offer. We also send our best wishes to the beautiful people and owners of St George’s. Our friend got married at St. George’s Retreat Village and it was magical. The most beautiful sunsets appear at this quaint villa . We stayed in Villa #2 which had two bedrooms with big balconies, one bathroom to share and a guest toilet downstairs. The Villas are self catering and self service. The owners wife baked the most delicious baklava which she delivered personally on our last day – so sweet. We had an amazing time here, we relaxed by the pool almost every day. 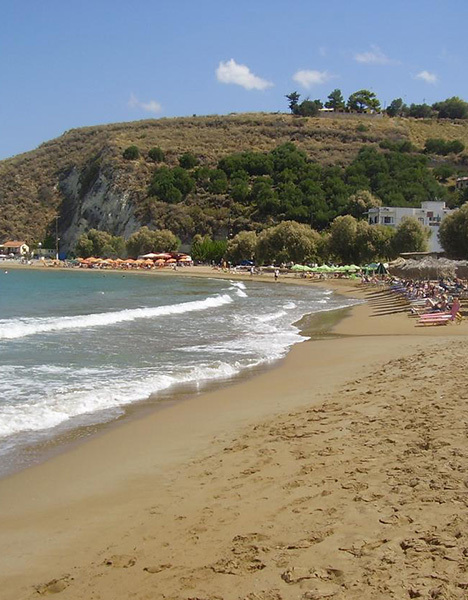 The villa is about 5km from the beach – we ran down to Almyrida Beach, where we got fetch by car as the run up would’ve been less enjoyable. 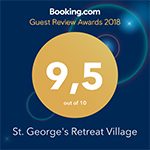 I would recommend St. George’s Retreat Village to anyone who is looking to stay in Crete.